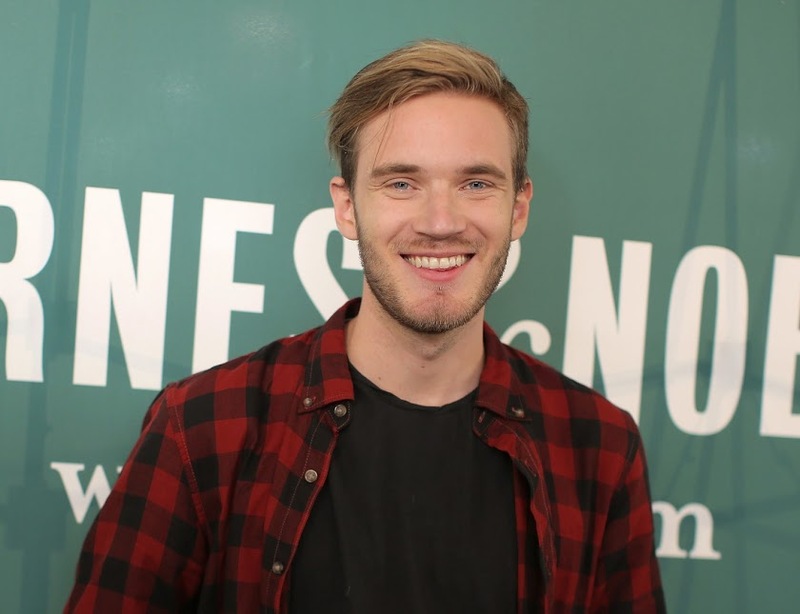 PewDiePie, the world’s most popular YouTuber has managed to keep his crown intact by winning a challenge with its main competitor – T-Series. Since October 2018, statistics regarding PewDiePie losing his title to the Indian music company T-Series were circulating the internet. In fact, Tubular Labs was the first to notice that T-Series has racked up 66 million subscribers in October and was growing so quickly that it would overtake PewDiePie’s 67 million subscribers within a week. However, that never happened – all thanks to PewDiePie’s campaign asking his viewers to ‘smash subscribe’ his channel. This motivated the fans of the number one YouTuber who stuck up posters all around their cities asking others to subscribe. Even fellow YouTubers Logan Paul and Mr. Beast made exclusive videos asking their audience to subscribe to PewDiePie’s channel. As a result, PewDiePie managed to garner more subscribers in the last four months of 2018, than in the entire of 2017. According to statistics site SocialBlade, he gained more than 13 million subscribers between the months September and December while it took all of 2017 to gain 7 million subscribers. In December alone, 6.62 million YouTube users subscribed to PewDiePie’s channel, which is 700% acceleration in growth from September, before the competition with T-Series became apparent. 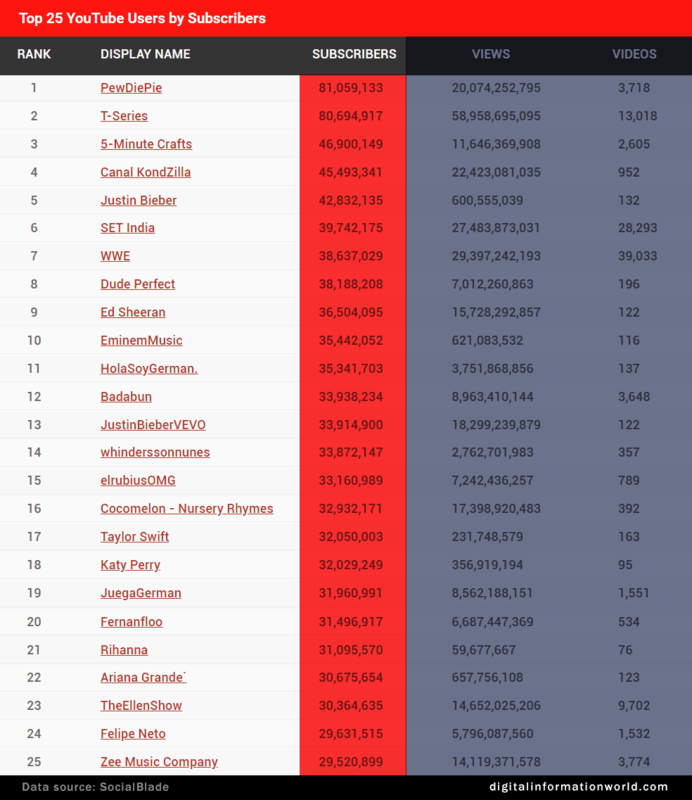 Currently, PewDiePie has around 81 million subscribers while T-Series is closing in the gap with 80.6 million fans (as listed in the chart below). Other contenders in the list of top YouTube subscribers include 5-Minute Crafts, Canal KondZilla, Justin Bieber, SET India, World Wrestling Entertainment, Dude Perfect, Ed Sheeran, EminemMusic and more. Let’s wait and watch who wins the throne of the top YouTube channel in 2019.